From the creators of the highly acclaimed "Juniper's Knot" comes "Dysfunctional Systems: Learning to Manage Chaos". 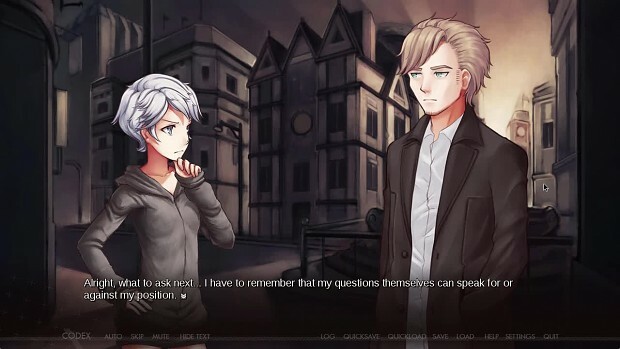 Dysfunctional Systems is a visual novel series featuring Winter Harrison, a student mediator from a utopian world. What is a mediator? A mediator is a person who travels between chaotic worlds, attempting to resolve the issues plaguing them. The first entry in the series follows her second mediation, where she shadows the experienced and aloof mediator: Cyrus Addington. "Dysfunctional Systems: Learning to Manage Chaos" features two distinct endings, unlockable bonus art, an animated opening video, and a jukebox of in-game music. Your UI is absolutely superb. Art and sound rocks. :) Great work. A quick demonstration of Dysfunctional Systems: Learning to Manage Chaos gameplay.